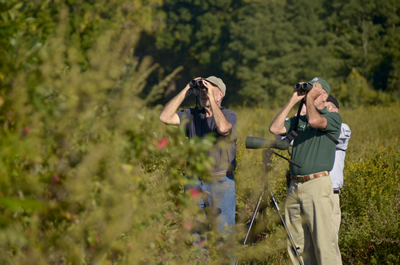 Join our Roving Naturalist and look for seasonal points of interest. Join our Roving Naturalist for a leisurely walk on well maintained trails to discuss seasonal points of interest, search for signs of wildlife and identify a bird or two. This is a free 1.5 to 2 hour program, but feel free to join in or drop out at any point during the walk. Dress for the weather as light rain and snow are not deterrents. Saturday, May 4 at 9 a.m.
Big Brook Park, Marlboro - Meet in the Route 520 parking area. Freneau Woods Park, Aberdeen - Meet in the Activity Center parking area.